Salvador Allende. Photography by Luis Orlando Lagos Vázquez, World Press Photo of the Year 1973. 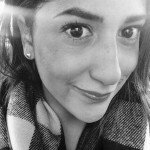 Flipping through the pages of “Clandestine in Chile” (1986), I related to Miguel Littín; I had left Chile at eleven-years-old and when I went back at twenty one I felt that I had been exiled and taken away from the most important years of my life in the place that welcomed me to this world. Gabriel Garcia Marquez so wonderfully translates the feelings of despair, confusion and utter paranoia that Miguel Littín faced when he was able to return to Chile disguised as a Uruguayan businessman following the military coup that brought political and social flames in the early 1970s. 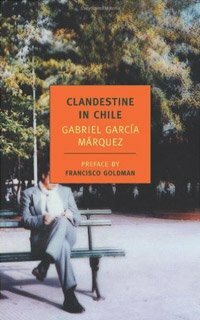 As told in first person through Gabriel Garcia Marquez, “Clandestine in Chile” is a stark narration of the accounts consequence of the infamous night of September 11, 1973 and the harsh reality of walking through the streets of Santiago full of soulless Chileans living under emotional and cultural repression. 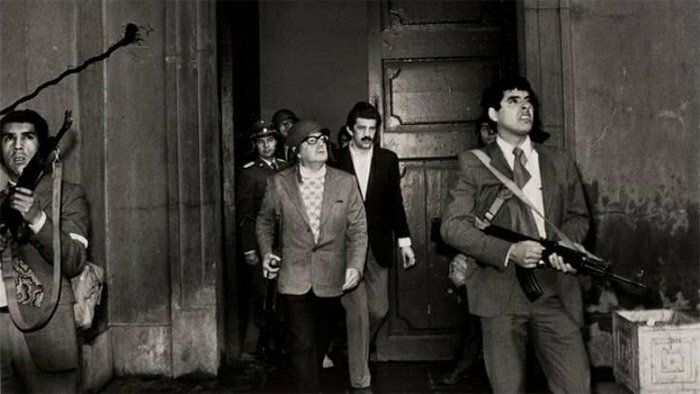 Miguel Littín, renowned Chilean film director, risks his life to go back to the country he left during times of cultural and diplomatic uproar when Augusto Pinochet took over the Chilean government ordering thousands into exile and many more into disappearance. He disclosed the accounts of the night he was captured and the odyssey that brought him back twelve years later. Personally, my family on either side has never touched the subject of September 11, 1973 and it was not until this afternoon that I asked my mother about it. She went on to explain that many people do not speak about it, not because it is forbidden, but because it was an eerie time that people would rather not recollect due to the pain and suffering. Both sides of my family were complete opposites, my maternal grandfather, Samuel, was taken to jail on false accounts and beaten repeatedly for over a month, whereas my paternal grandfather, Onofre, was a military officer and was ordered to follow all commands under Augusto Pinochet. I know I am only one person removed from someone that lost a loved one during those times and to this day they do not know what happened to him. It is a glaring revelation that this individual, like many more, shed tears and blood all because he had a voice and an opinion. He is one of thousands that Miguel Littín and many others that speak about it want to shed a light on. Miguel’s story and the risks he took make one realize that there are things that we ought to be conscious of and once we become aware we should discuss. Unknowingly we all at one point of our lives are Miguel Littín’s. We try to make sense of prejudice; regardless of it being a whisper or a shout, we want to desperately tell whoever might be listening that there are pieces in history that will brand us and change us for the remainder of our lives. Miguel, unlike the many that suffered through that time, had a louder and much powerful voice and spoke on behalf of all the ones that had no choice but to remain silent.